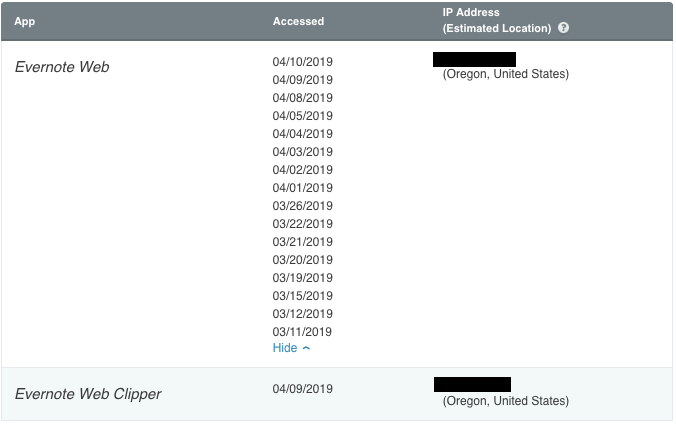 i didn't get any suspicious mails or anything but when i check my access history, i see weird locations. some from different cities in my country and few foreign locations. i've only gave permission to my phone and laptop yet some of these doesn't have any device name. i've already changed my password, i'm wondering, is this behavior normal and is it possible for a device i didn't give permission through my mail to access my account? Where is the access history? Ill see if mine does that. it's on the left bar under Security. i didn't get any suspicious mails or anything but when i check my access history, i see weird locations. some from different cities in my country and few foreign locations. Looks like someone know's your Evernote password; you should reset it. Don't use your Evernote password for other services or web sites. @DTLow, @ordinary honeybee did change the pass. Look for posts from Evernote employees @Rich Tener and @Scott T. in particular. thanks, already did. but i doubt it since i see some of the same ip addresses paired up with my device name too. So, you say it doesn't show your device? 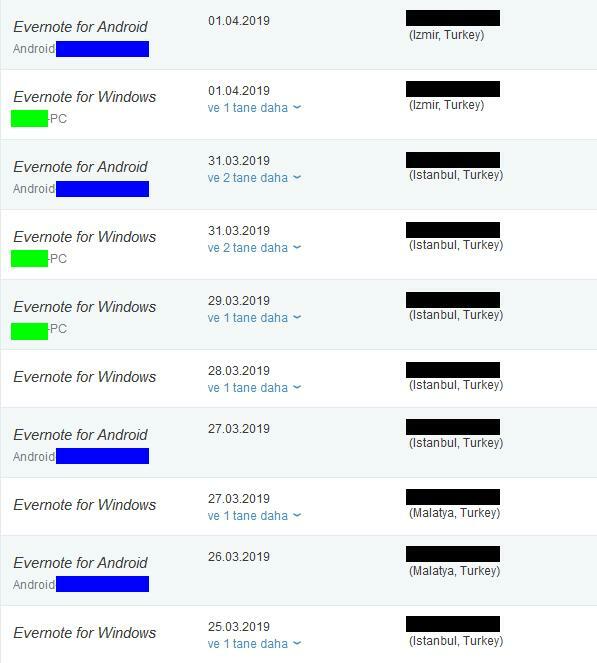 this is my access history(screenshot, nothing private), do you think you could send a screenshot of what your talking about? sorry i'm not comfortable showing my ip address, i think you shouldn't too. but i think my OP sums it up well. Here, you can cover it up. @jefito thanks for the references, am reading. @MatS14 good idea, added to the OP. So, how many are yours, and how many aren't?